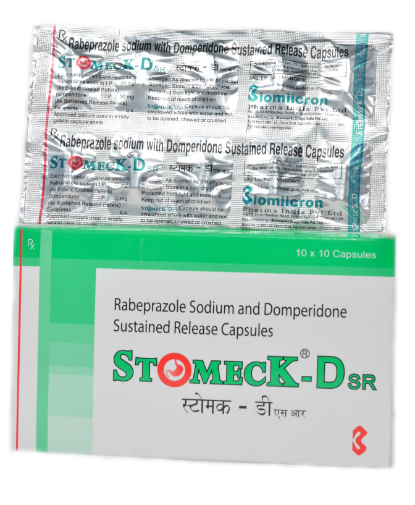 Stomeck DSR is a combination of Rabeprazole, a proven Proton Pump Inhibitor and Domperidone, a trusted anti-emitic. It is very effective in the management of GERD, acidity, nausea, vomiting, ulcers etc. It is very effective in preventing the secretion of excess gastric acid and at the same time controls nausea and vomiting. Our unique manufacturing technology ensures round the clock management of hyper acidity related problems.